• On July 13, Sen. Bernie Sanders played First Avenue. To be specific, Sanders appeared to speak on behalf of longtime close ally Keith Ellison, who is quitting the Congress to run for MN attorney general. The two politicians’ rousing speeches were preceded by musical acts to a packed house of about 1,500 fans. • My friend and neighbor Julie held a House Party for Health Justice for Standish neighborhood denizens and others interested in the (improved) Medicare for All campaign of Twin Cities Democratic Socialists of America (TCDSA). In addition to a small number of residents from our 55-plus condo and the surrounding neighborhood, there were a few attendees from Walker Community UMC and a few other TCDSA members present to hear a fact-filled talk about what single-payer healthcare is and is not, what it will mean to us to get it, and how we plan to do so. We also sent postcards to Senators Amy Klobuchar and Tina Smith asking them to sign on to Sen. Bernie Sanders’ universal health care bill. • On July 23, resistance persistence attended a very interesting panel discussion with two activists in the struggle for Palestinian rights. Malak Shahin, a student who is the child of Palestinian refugees (representing U of M Students for Justice in Palestine), and Ramah Kadaima, a Syrian-American woman (representing US Campaign for Palestinian Rights), spoke in turn before an audience of some 40 people in the “event space” at Moon Palace Books. They later fielded questions. The event was presented by Committee in Solidarity with the People of Syria (CISPOS), with sponsorship from Twin Cities IWW, Living Table United Church of Christ, Students for Justice in Palestine (SJP UMN) and Mizna. 1 Noah Johnson, running on the Grassroots Party ticket, is opposing Keith Ellison in the race for MN attorney general. 2 Brian Abrahamson is running for the MN House in District 22A, in southwest Minnesota. Abrahamson was not present and was represented by his recently acquired campaign manager, and this was a clear disadvantage, along with the fact that he had made some serious online gaffes against DSA. 3 Jen Kader, another TCDSA recent member, is the only white candidate out of six people running in the DFL primary for House District 62A. 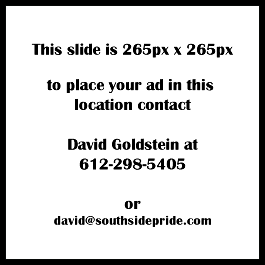 (The winner of the primary will undoubtedly win in this overwhelmingly DFL district, where there was no endorsement by the DFL.) Kader has a number of other high-powered endorsements, including that of the incumbent, Karen Clark. There was some significant support for her among the membership, but not enough to win the endorsement. 4,5 Two of the contenders for the House District 60B seat currently occupied by Ilhan Omar, who is now running for Keith Ellison’s abandoned congressional seat in CD5, Mohamud Noor and Haaris Pasha, sought TCDSA endorsement as non-members. The rules for the meeting stipulated only one could receive endorsement. Noor received far more votes than Pasha, although most members agreed that both candidates are acceptable and serious, but the “No endorsement” vote on this contentious race was the clear majority. 1 Brad McGarr, who has been a TCDSA member since 2016 and was a delegate to the DSA Convention in Chicago in August 2017, is running for the City Council of Shakopee. This being a non-partisan race, he will not need to run in the primary but faces one opponent in the November general election. TCDSA is happy to endorse this close friend and tireless organizer, with the added bonus that it gives us a chance to exercise and develop organizing skills in a suburban but diverse community with a large but not very visible working class. 2 Jennifer Nguyen-Moore, a more recent member, is running for Ramsey County commissioner, District 3. Nguyen-Moore is the daughter of two immigrants, one of 12 children, and was brought up in a family in constant service to its community. They were also recipients of various county services themselves, and she is running because the Ramsey County Commission needs someone who knows the struggles of its working class citizens. TCDSA’s immediate electoral priority will be helping Nguyen-Moore win in the primary. • The Whimper. On Monday, July 30, the “body-cam” video evidence in the police slaying of Thurman Blevins Jr. was released to the public. The community is devastated that Hennepin County Attorney Mike Freeman considers this evidence as clear exoneration of Officers Ryan Kelly and Justin Schmidt and no charges will be brought. Some of the comments from pro-police members of the public are truly sickening, focusing on Blevins intoxication, claiming to see “signs of advanced alcoholism” in his father, claiming to see him shooting a gun at officers, and giving a pass to officers who leapt from their cruiser, guns drawn, shouting obscenities. Blevins instantly ran from the police and could be heard pleading “Please don’t shoot me” seconds before he was shot in the back. We steeled ourselves to watch the “enhanced and analyzed” combined video, and to me the most appalling sight in the scene was where one of the officers, when Blevins bleeding body ceases to move, went over and cautiously prodded it with his foot. 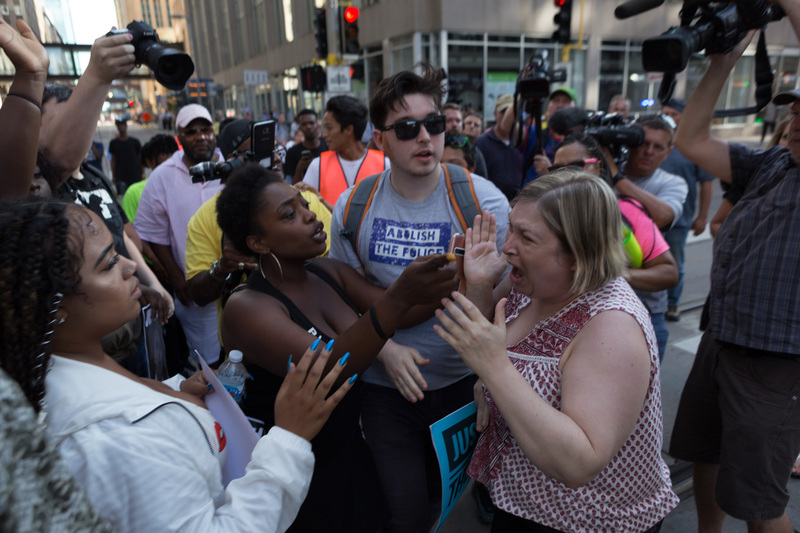 An emergency rally in support of Blevins’ family and friends was held July 31 at the Hennepin County Government Center plaza. • Reasons for Hope: Did you know there is an organization called Minnesota High School Democrats? They co-sponsored a High School Organizing Summit on Saturday, Aug. 4.